Washington, DC ─ Over 50 organizations concerned about access to affordable, high-quality health care and long-term services and supports for older adults, people with disabilities, and their families, sent letters to Congressional leaders in both the House and the Senate today in opposition to the tax bill that is likely to be voted on next week. The letters reiterate the organizations’ strong opposition to any tax bill that would put at risk both health care and long-term care for older adults and people with disabilities. The reported effects of the tax bill would be to explode the national deficit by at least $1 trillion, and potentially much more. This tremendous revenue shortfall will inevitably put Medicaid, Medicare, Social Security and other programs at risk for massive cuts. 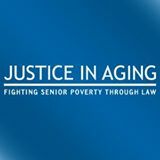 These are programs that millions of older adults, people with disabilities, and their families rely on. For example, more than 57 million older adults and people with disabilities rely on Medicare, including 11 million low-income beneficiaries who have both Medicare and Medicaid. Read the letters and see the list of signatories here: Senate, House.